Among electric motor brand, Branco offer extensive potential for modification. They are available with standard variants, ensuring they can be used in wide range of industrial applications. Most general performance motor are stocked both centrally and locally for global off-the-shelf and fast delivery worldwide. Branco is caters to get up different type of motor applications from mechanical parts to industrial automation. As a heavy duty electric motor supplier Malaysia, our low motors meet the latest efficiency standard and stands for highest quality, reliability and compactness. Branco is optimally integrated into the drive train. They were perfectly harmonized for the use of inverter or various harmonized for the use of inverter or various frequency drivers. Our range of products are based on one common global quality and design standard that derived from our Italy engineering roots which adapted to global market requirements since 2006. While we serve a very broad base of industries, our primary target markets are the Water, Fan & Blower, Pump and Industrial Machines. Today, we are extending in your local market, comprehend your market’s needs and also comply with local requirements and standards. Give a room for us to impress you on how our notable experiences and our boundless passion will intertwine your success with a new motor series specifically defined for the distribution business. Using current technology to enhance productivity and energy saving. Electric motor system consumes large amounts of electrical energy and can provide an opportunity for significant energy savings. Branco bring you a well known Energy Saving Electric Motor in Malaysia as well did small improvement in efficiency that result in significant energy and cost saving. The environment will also profit from reduced energy consumption.Purchasing a motor is just like buying other goods and services compare options and seek to maximize efficiency while minimising the purchase price. It is often possible to obtain substantial efficiency gains without paying a price premium. 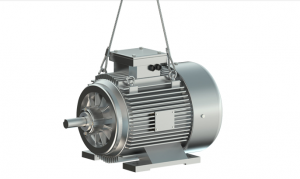 The popularity of 3 phase induction motors on board ships is because of their simple, robust construction, and high-reliability factor in the sea environment. A 3 phase induction motors can be used for different applications with various speed and load requirements. Single phase power system is widely used as compared to 3 phase system for domestic purpose, commercial purpose and to some extend in industrial purpose. The single phase AC motors are simple construction, cheap in cost, reliable and easy to repair and maintain. Branco give you the best quality in all of their product.